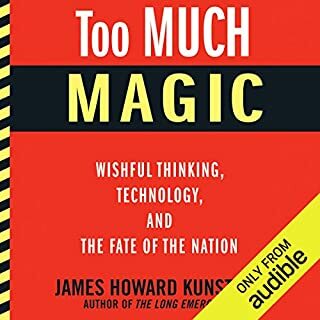 James Howard Kunstler's critically acclaimed and best-selling The Long Emergency, originally published in 2005, quickly became a grassroots hit, going into nine printings in hardcover. Kunstler's shocking vision of our post-oil future caught the attention of environmentalists and business leaders alike, and stimulated widespread discussion about our dependence on fossil fuels and our dysfunctional financial and government institutions. 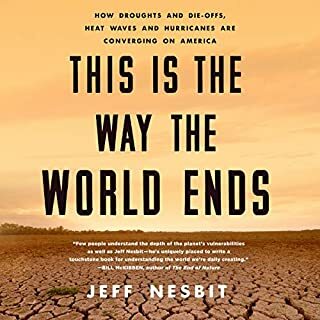 While some might have issues with the author's religion, the book itself offers an interesting preview of a world that may come, perhaps sooner than we think. Ecotechnic Future synthesizes current issues and debates and posits a possible future of declining energy availability and the consequences for our civilization. While The Ecotechnic Future may be depressing to some, I found the work insightful and thought provoking. It is useful to remember that we are living in a fossil fuel age that is but a blip in the long story of humanity. 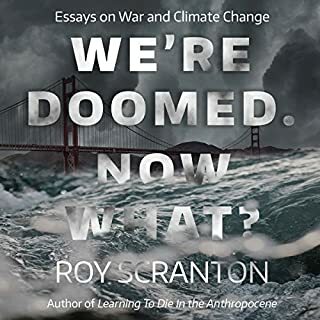 What the book examines is what may come after our energy rich blip has passed. 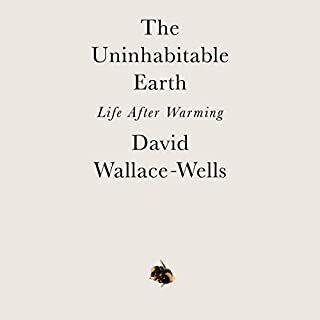 I'd recommend this book for people interested in environmental issues or people interested in looking at a possible human future via the long duree. What did you love best about The Ecotechnic Future? 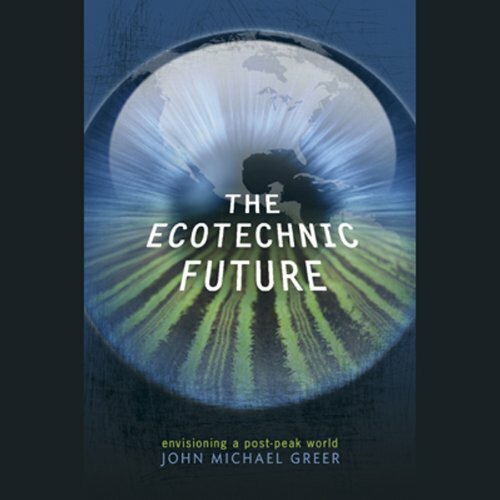 What other book might you compare The Ecotechnic Future to and why? Would you try another book from John Michael Greer and/or Tony Craine? I'm definitely getting more JMG books. Won't work on my Sansa Clip Zip unless I convert it to MP3 first. Great wake up call from a lot of modes of thinking that turn out to be very old after all. I thought I got some exposure from being an English major in college, but apparently a lot of the good stuff wasn't on the reading list. Would have loved to have this guy as a prof. because he shows the pitfalls of different ways of thinking. I listened to JMG'S book "Rise and Fall" prior to this one. I would suggest readers do the same. The greater the number of decades you have lived, the better able you are to see the future he outlines. Regardless of your political beliefs or scientific knowledge, you will learn from this text and have much to ponder. Our society is destined to change significantly as petroleum supplies decline and arguably we are just beginning to see these changes. 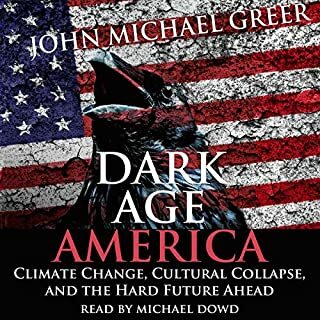 Mr Greer's book describes a future much different than what most people envision. This is an excellent book to encourage your offspring to read if you're a parent. In The Ecotechnic Future, the ever-interesting, ever well-read John Michael Greer gives us his take on how the world will change as Peak Oil increasingly becomes felt. His viewpoint is appreciated: he gives his theories and predictions without falling into either fantasies of green utopianism or visions of Mad Max-style anarchy. Sober, I think, is the word to describe it. It'll be harder for all of us, and that is sad, but it is what it is. The book starts with a discussion of general principals before getting into a topic-by-topic discussion of such subjects as Food, Work, Culture, and Science. Those familiar with his other work will recognize his way with words. In describing his writing style, the first thing that comes to mind is Greer-like. Yes, John Michael Greer's prose is very Greer-like. Tony Craine gives a fine reading. 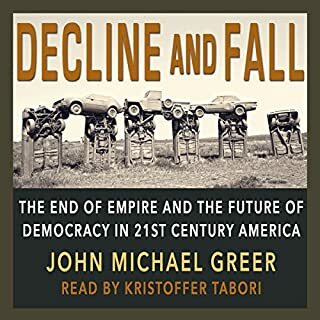 As much as I enjoyed the mad wizard flavor that Kristoffer Tabori gave Greer's "Decline And Fall" (also on Audible), I think Craine did the right thing by reading this book in a dispassionate manner. Listened to five times now! An important book visioning the future. It inspires me to skill up. I listen to it while gardening. Don&#8217;t waste your time on this one! The author Mr. Greer, is also Grand Archdruid of the Ancient Order of Druids in America. In short he envisions the failure of society after the decline of fossil fuel resources and a return to subsistence living, composting and organic gardening, which he currently practices. There is no credit given to human ingenuity and the small amount of energy used when compared to total sunlight striking the earth. Unless you want to be depressed and believe in half truths and inappropriate in interpretations, don&#8217;t bother.